The Pool of London has long been a busy place. It has been the focus of seaborne trade with the city since the Roman galleys first arrived with exotic cargoes. 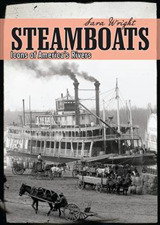 After the Industrial Revolution the sailing packets were followed by wooden-hulled paddle steamships in the coasting trades, while the deep sea fleets still relied on both sail and steam. Imposing warehouses were constructed to store goods safe from the weather; several survive to this day, including Butler's Wharf and Hay's Wharf on the south bank of the Upper Pool. 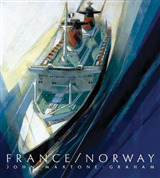 The Pool developed an important connection with Northern Europe and the near Continent, as ships travelling further afield became larger and migrated to the new dock systems. Barges cluttered up the riverside wharves delivering and collecting goods from up and down river and transhipping goods from the docks. 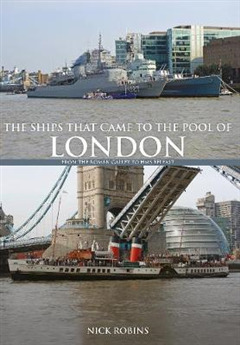 This is the story of the ships that came to the Pool and, with it, the development of London as a port and an international commercial centre. It is an exciting story, full of colour and bustle that will appeal to many, including the numerous visitors that come to see HMS Belfast.